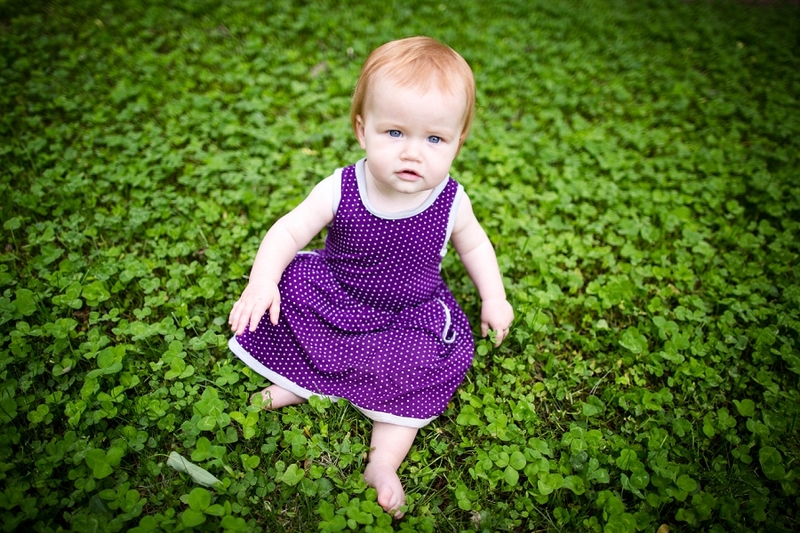 Are you guys ready to see some adorable SOLEIL by Selvage Designs dresses? In this first week of the Summer of Soleil pattern tour, I have some great photos to share with you. You can visit each of these fabulous ladies' sites to to see the full review and post! Oh, and you just might stumble on some pattern giveaways if you click through the links! First up, we have this adorable purple version by Steph Skardal (also featured in the main image of this post). Next, we have this upcycled version by Kari at Pattern Revolution. She's written a super thorough review so you can decide for yourself whether or not you want to add this pattern to your collection! This utterly adorable striped version (fabric from Jo-Ann!) is by Heidi of Handmade Frenzy. This is also her second version as she was one of my amazing testers! Next, I just LOVE how this floral print looks with these classic navy stripes! This version is by AJennuineLife. She was one of my fab testers and also made this version. Last (but definitely not least!! ), we have this super-cute version by Amanda Rose with pandas. PANDAS! Have you sewn a SOLEIL dress by Selvage Designs yet? I really think you will love this versatile, fun pattern. You can get your own copy here.